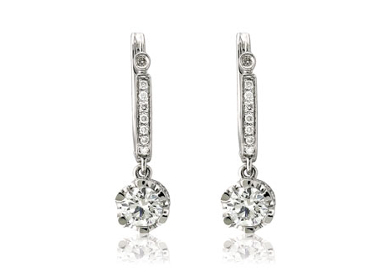 Diamond lever back earrings with small prong set drops. .35ct. Simple for someone on the go.